An advertisement for JC Mueller's Feed Store on East Pecan St (now East Sixth St.) His business is also listed on page 164. Seated, left to right: Louise Schirmer Mueller (Mrs. J.C. Mueller) (1847 - 1914); in lap, Carl Edward Bock (grandson) (b.1909); Carl Mayer (1847-1916); Louise Kreisle Mayer (Mrs. Carl Mayer)(1854-1918). Standing, l.to r.: Phillipine (Pina) Mueller Bock (Mrs. Guido Bock)(1875-1939), Guido C. Bock (1876-1947), Robert Mueller (1881-1927), Leona Mayer Mueller (Mrs. Robert Mueller)(1883-1971), Carl H. Mueller (1883-1957), Carl M. Mayer (1892-1968), Sophie Kreisle Sutor (1863-1926), Emilie L. Mayer (1885-1975), Otillie Mueller Borner (Mrs. G.F. Borner)(1878-1965), Rudolph G. Mueller (1879-1957), Laura Von Boeckman Mueller (Mrs R.G. Mueller)(1884-1970). There is a second photo of the same event. In that photo (1912 Front Porch Photo 2), Carl Mayer is not present, but there is another male on the right side of the photo, standing next to Laura Von Boeckman Mueller. Minutes from the 13 January and 14 January 1927 Austin City Council meetings. Robert Mueller served on Austin City Council from May 1926 until his death 11 January 1927. His funeral was 13 January. Council postponed their regular meeting on the 13th, and passed a resolution on the 14th. 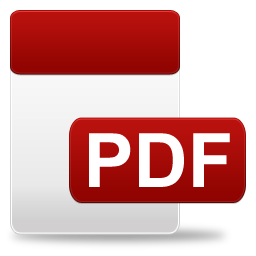 190 KB PDF file, extracted from the archives of the Austin City Clerk. A 1930 photo of Louis, Robert, and Harold Mueller, sons of Robert Mueller and Leona Mayer. Compare the faces of these young men with the sons of Robert B. Mueller. In 1976, the terminal at the Robert Mueller Municipal Airport was rededicated after a multi-million dollar improvement project. This is the program from that rededication. 6.4 MB PDF file. From William Thomas to his brother-in-law, Matthew Kreisle, and his sister, Sophie T. Kreisle, about the Union bombardment of Corpus Christi. Translated by the Dept. of Germanic Languages, Univ. of Texas at Austin, retyped and edited by Harold Mueller, 1987. Italicization indicates added comments. An article in the Austin American, 12 April 1966 about Dr Harold Mueller teaching at the Sun Valley Music Camp that summer. Beatrice Baldinger from the 1947 Tulane Jambalaya. Her entry reads: "'47, Newcomb; New Orleans, Louisiana; Phi Mu; A Capella Choir; Operetta; Glee Club; Westminster Fellowship"
Ross Cahal and Gayle Baldinger at their wedding with their surviving parents. An undated photo of Clara Regina John. Source: "Texas, Deaths, 1890-1976," index and images, FamilySearch (https://familysearch.org/pal:/MM9.1.1/JDDP-7PD : accessed 16 May 2012), Clara John Mueller, 1909. Sherman Democrat article from 16 July 1967 about Dr. Harold Mueller's departure from Austin College. Former Austin College Prof. To Head MC Music Dept. Marietta Daily Times, 19 August 1967. Article about arrival of Harold Mueller family in Marietta. My father Harold Mueller and I visited Europe in the summer of 1982, driving from Brussels to Normandy, and then to Germany. Our goal was to visit with some relatives in both West and East Germany. My father took many notes on trips like this, and he transcribed his notes from part of this trip, from Winterlinger to Weimar. Gustavus Frederick Borner, cropped from 1929 George Borner photo. Taken in front of the Bock house. Leona Mayer Mueller on the right, and Emily Mayer on the left. Status: Located; I've never found any reference to a name for this child. Information regarding the Galveston passenger arrivals lists. Date unknown, but probably near in time to the Schuworth photo. Part 1 of "The J. C. Mueller Family," a family history compiled by my late father, Harold Mueller. Documents marked with the blue folder icon are part of this history. This history is presented as he last edited it and has not been updated. Part 2 of "The J. C. Mueller Family"
Part 3 of "The J. C. Mueller Family"
Part 4 of "The J. C. Mueller Family"
Part 5 of "The J. C. Mueller Family." This was originally marked "IV-A" in my father's manuscript. Part 6 of "The J. C. Mueller Family"
Part 7 of "The J. C. Mueller Family"
Part 8 of "The J. C. Mueller Family"
Part 9 of "The J. C. Mueller Family"
The writing on the front reminds me of Robert (Bobby) Mueller's handwriting. This is one section of Matthew Kreisle (1831-1882) His Ancestors, Descendants, and Related Families that my father completed in 1983. Part of Matthew Kreisle (1831-1882) His Ancestors, Descendants, and Related Families that my father completed in 1983. Family Tables from the Matthew Kreisle (1831-1882) His Ancestors, Descendants, and Related Families history. Beatrice Baldinger taught voice at Kuenhle. This image is probably from about 1920. Harold Mueller was the youngest of the three sons, and he appears here to be less than a year old. Linda Garrison Diefenbach, taken some time between 1980 and 1984 during a trip to the Japanese Alps. Arthur Diefenbach was stationed in Japan at the time. Note: The ink caption seems to be in Robert (Bobby) Mueller's handwriting. Maggie Fitch extract from 1900 Census for Ridgway TWP Elk Co PA. This is the only information I presently have for her. Source: Ohio, County Marriages, 1789-1994, index and images, FamilySearch (https://familysearch.org/pal:/MM9.1.1/XDL4-1CH : accessed 24 May 2012), James S. Lubaski, 1916. Source: Ohio, County Marriages, 1789-1994, index and images, FamilySearch (https://familysearch.org /pal:/MM9.1.1/XZP7-ZYS : accessed 15 May 2012), Carl Diefenbach, 1907. See bottom right of image, record 329.